Today, I thought I would do a recommendations post about five historical fiction novels I have read and really enjoyed. I started reading historical fiction about two years ago and, even though I have really enjoyed some, I haven’t read many books of the genre. At first, historical fiction did not seem appealing to me at all. As a younger reader, my comfort zone was strictly among YA titles. I even tried to read Lord of the Rings and failed to go past half of the second book. When I came back to reading at the age of 20, I went back to familiar ground. YA literature has seen a huge rise in popularity over the last decade, but it just wasn’t for me anymore. I decided to experiment, look around for books from genres I would have never considered before. If I don’t like YA anymore, what do I like? Making my first steps into a genre that I had never considered before meant I needed good recommendations. So, I went on Goodreads. I picked out books that have received recognition through awards. The Man Booker, the Pulitzer, even the Goodreads Choice Awards. The five novels I have to recommend here are quite popular and probably most historical fiction fans already know about them. But I wanted to write this post to prompt people to pick up these books they always meant to read but just haven’t yet or to try out a new genre that they had never considered before. I read The Luminaries back in January and it took me about a month to finish it. 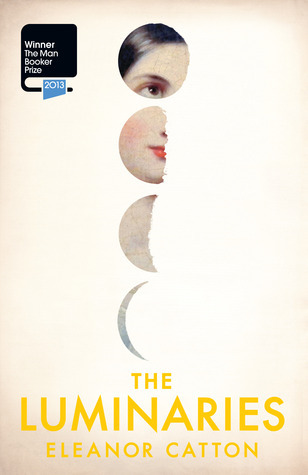 It is a huge historical fiction novel, impressively winning the Man Booker title of 2013, making Eleanor Catton the youngest author to win the Booker Prize. The book is set in 1866 in New Zealand and it reads as if Eleanor Catton actually wrote it back in the 19th century. The author has done such an excellent job giving her modern readers the impression they are reading a Dickensian classic. The plot revolves around a big cast of characters who get involved in a mystery of a murder that involves laudanum, gold mining and the attempted suicide of a whore. Despite its massive size, reading it is a breeze. If you’d like to read more about it you can find my review of The Luminaries here. This Pulitzer winning novel is a story of two young people during World War II. Marie Laure lived with her Papa near the Natural History Museum in Paris. Her father built her a model of their neighbourhood so she can learn to navigate her surroundings. Marie Laure went blind at the age of six. When the Nazis occupy Paris, she flees with her father to Saint -Malo and life becomes more and more difficult. In Germany, young Werner is growing up with his sister Jutta and quickly shows interest in physics and electricity. When he is older, his ability to understand the machinations of radios earns him a spot at an elite military academy where he trains to become a tracker. 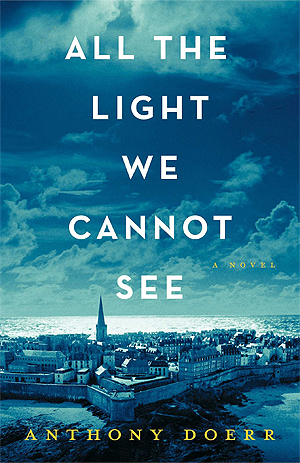 All the Light We Cannot See is not a gripping novel as is the case with The Luminaries. In the beginning, the reader has to get into the rhythm of the book as the story unfolds slowly and nothing much is happening. The focus here is the beautiful, poignant prose of Anthony Doerr who tells a story so eloquently that the slowness of the pace matters naught. By the end, the book picks up the pace as the fates of the protagonists collide and by then, you don’t want the story to end. You can read my review of All the Light We Cannot See here. 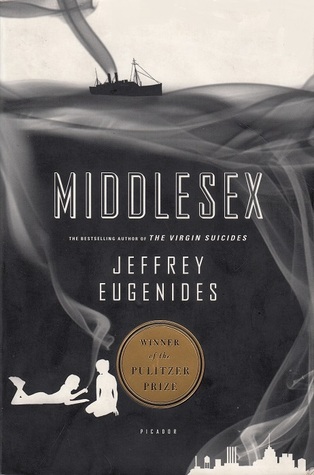 Jeffrey Eugenides published his Pulitzer winning novel back in 2002 and he follows the epic journey of the Stephanides family from the coast of Smyrna, all the way to America. During the fires of Asia Minor in 1922, two siblings, Desdemona and Lefty flee into a huge boat in search of safety and a better future. They take with them a box of silkworms and a big secret. A secret they will keep for many years to come. Desdemona and Lefty fell in love. A genetic mutation that exists in the family appears in their grandchild, Callie, who is born intersex. Middlesex follows young Lefty and Desdemona and their struggles in America, the birth of their two children through the birth of their grandchildren. Reading a story narrated by Callie Stephanides feels an honour and a privilege. Callie offers great insight into the minds of her family in a way that they truly feel familiar to the reader. It is a story that will stay with you for a long time. You can find my review of Middlesex here. The Nightingale is the second book I picked up when I decided to try out historical fiction, after The Book Thief. I still think of this one as my official introduction to the beautiful, emotionally heavy world of historical fiction. This is the story of two sisters, Vivien and Isabelle, during WWII. Isabelle is the younger sister and she is stubborn to the point of recklessness. Vivien on the other hand has a stable life with her daughter and husband in the country side. As the war approaches, Vivien’s husband Antoine joins the army. Isabelle then moves in with her sister and the story becomes one of courage and the power of women in the face of extreme danger. 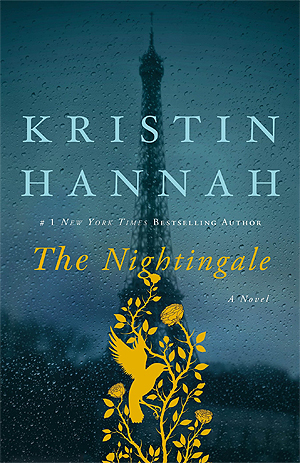 Kristin Hannah creates two characters that perfectly narrate the story of how bravely women fought during WWII. It is a wonderful and very powerful book and it makes me very excited for Kristin Hannah’s new release in January, The Great Alone, which sounds fantastic. You can find my review of The Nightingale here. Finally, a historical fiction book I read recently is the Pulitzer winner of 2017, The Underground Railroad. 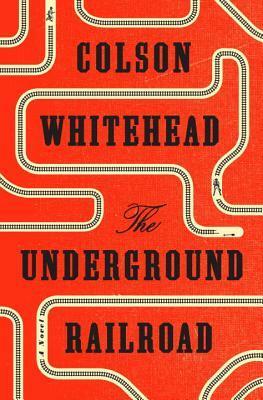 Here, Whitehead reimagines the underground railroad, a network of secret routes and safehouses that were used in the U.S. during the 19th century by African-American slaves to escape to free states with the help of abolitionists, as an actual underground railway system that takes people from one place to another with no guarantee of safety at the end of the line. We follow Cora, a young woman who decides to flee from the farm where she grew up and escapes to the underground railroad hoping to find a better life for herself. The cruelty in this book is matched by a somewhat cold and distant narration style. It is a gut-punch of a story and I really enjoyed it. You can find my review of The Underground Railroad here. So, these are five basic historical fiction recommendations that I want to start this recommendation series with. I say basic in the sense that I think these books serve as a good introduction to the genre and cover a variety of historical eras and events, people and countries. Of course, there is so much more to this beautiful genre that I have yet to discover. Some historical fiction books I have on my TBR are By Gaslight by Steven Price, The Crimson Petal and the White by Michel Faber, The Amazing Adventures of Kavalier & Clay by Michael Chabon, The Miniaturist by Jessie Burton and most recently pre-ordered The Revolution of Marina M. by Janet Fitch. I really have no idea where to begin. Note: My dog, Ziggy, is a professional surface-layer. If there is anything on the floor, he has to lay on it. Clothes, blankets, plastic bags, cardboard boxes, my slippers, etc. He also likes to cuddle with things that are close to or on the surface he wants to lay on, in this instance my books. He also loves pumpkin, and he was particularly interested in my props. So, thank you to my dog for photobombing my books. I love historical fiction, its one of my favorite genres. I’m going to have to add these to my TBR. I’ve never read Middlesex, I started it but due to unforseen circumstances it was lost. I also want to read the Crimson Petal and the White by Michael Faber. I also really want to read Michael Faber. He was recommended to me by a friend but I have this thing with books that sound amazing: I’m hesitant to pick them up because then they are over. If you liked the way Middlesex is written from what you read so far, I say go for it. It is very good. Here’s more to add to your TBR: The Sympathizer by Viet Thanh Nguyen, Do Not Say We Have Nothing by Madeleine Thienh and The Brief Wondrous Life of Oscar Wao. Would love to send you a copy of one of these, from book lover to another. Send me your addy at hello@libromance.com! Are you planning on writing a historical fiction book or a recommendations post? Either way, I’m looking forward to it! Great choices. I love historical fiction so much that I now write it. Now I have to keep reading more historical fiction to make a part 2! I’m currently reading a historical non fiction called Number One Observatory Circle by Charles Denyer which I have found really interesting. But after this I could use some historical fiction, I think Doerr’s book that you have there would be captivating!